This March, Join Lancôme in their 75th Year Anniversary Celebration Road Show! 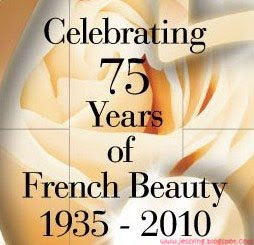 In conjunction with their celebration of 75th year anniversary, Lancôme Malaysia will kick-start a multi-city road show at Suria KLCC Concourse from 2nd to 8th March 2010. Aptly themed the ‘Chateau de Lancôme’, the total beauty road show will showcase the French luxury beauty brand’s bestsellers in make-up, skincare and fragrance. The road show set-up will be in a form of a castle, complete with a French garden-like setting and a ‘fountain of youth’. Customers are invited to visit the road show and experience complimentary beauty services, or explore the chateau and play games to redeem a Lancôme products goodie bag. Lancôme will also be launching a nationwide customer campaign makeover contest. For enquiries and more details on the road show schedule, contact 1800-880-112.
p/s: Mark this date in your calendar ya !! !